Our face is the billboard upon which shame and honor are displayed. The link between our physical face, honor, and shame is innate. Humiliation lowers the eyes, and fame raises our chins. Shame turns our faces pale (cf., Isa 29:22); honor makes us beam (cf., Ps 119:135). Someone feeling entitled to a sense of honor walks with their head held high and chest puffed out; the shamed hunch over and gaze at the ground. The standard visual for shame is someone covering their face or looking down. When I feel inadequate or defective, I don’t want people to see “me,” so I hide my face (akin to my toddler who plays hide-n-seek by covering her eyes). “I’m too ashamed and disgraced to lift up my face to God” (Ezra 9:6). For these reasons, the word “face” is often a synonym for reputation and respect. In many cultures, particularly in China and SE Asia, “face” is the common word for honor and shame. For example, Thai culture treats “face” like Eskimos treat snow—an essential commodity for life with a complex set of terminology. In Thai, a person can display, give, fix, take, possess, carry, preserve, sell, tear off, lose, and even hammer face. This complex human reality has spawned modern academic studies on “face” and “facework.” Face is “the projection and management of our positive social identities” (Flanders, EMQ). Facework refers to communication strategies for granting or challenging others’ face, as well as managing one’s own face (wiki article). For example, indirectness and honorifics in speech are recognizable forms of facework. Facebook is facework on steroids—update your “status,” accrue “friends,” “like” others. The notion of face is complex and widespread, so complex I only hope to introduce the idea here. 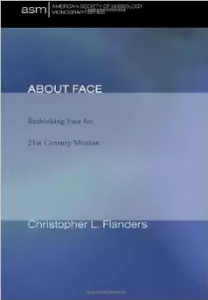 An excellent explanation of face for Christian witness is Chris Flanders’ EMQ article, “Fixing the Problem of Face” (Jan 2009) and book About Face. Westerners must realize that face is far, far more than “people pleasing” or simply “lying.” To dismiss cultural constructs of face as “people pleasing” ignores the social bonds, relationships, and sense of community inherent in the idea. In Asian contexts, “face” is intimately connected to morality. To ask a Chinese person “Do you want face?” is an insult because someone who does not want face is immoral for not caring about others’ opinions. To say “You have no face!” in Central Asia defines someone as shameless—they have lost all sense of public regard, and do not care about the community. Face is the glue that binds relationships and communities. Without face, a person has no conscience and ultimately no identity. Although cultural facework leads to instances of frustration and certainly involves dark sides, the notion of face is not entirely negative or unredeemable. Even “non-face” Western cultures “do” face. Consider the degree of face these three greetings suggest: “Yo, dude!,” “Hello, sir,” and “Your Highness.” Realizing face is an escapable dynamic opens the door for constructive conversations on face approaches. Historically, the response of Western missionaries to “face” is generally one of rejection. When “facework” is rejected outright, Christians (1) bypass a significant way to explain the gospel and (2) ignore a significant sphere of Christian discipleship. Flanders says of Thai culture, “[F]ace is a fact. However, Thai Christians and missionaries alike seem either uninterested in or possibly incapable of addressing issues related to face.” Because this posture is a common pitfall in Christian witness, the following posts will outline a biblical theology of face. 3 Pings/Trackbacks for "Got Face?"